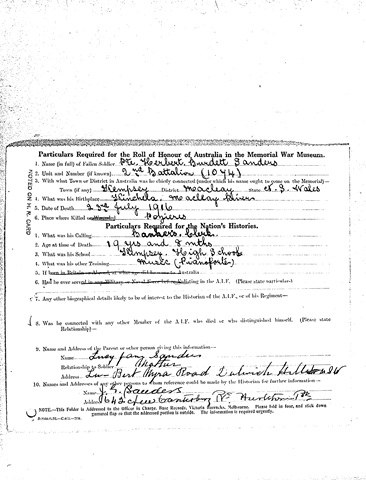 ODD LINKS AND SITES TO SEE HERBERT BURDETT SANDERS ON AWM ROLL OF HONOUR. 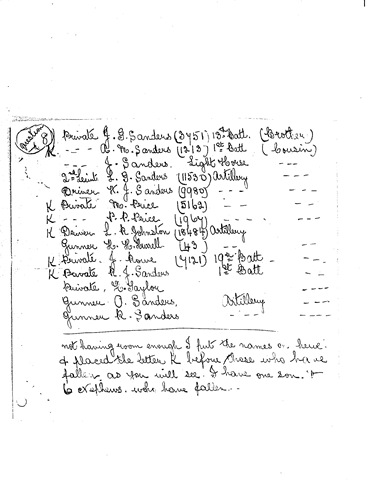 War Grave Register notes: SANDERS, Pte. Herbert Burdett, 1074. 2nd Bn. 23rd July, 1916. Age 19. 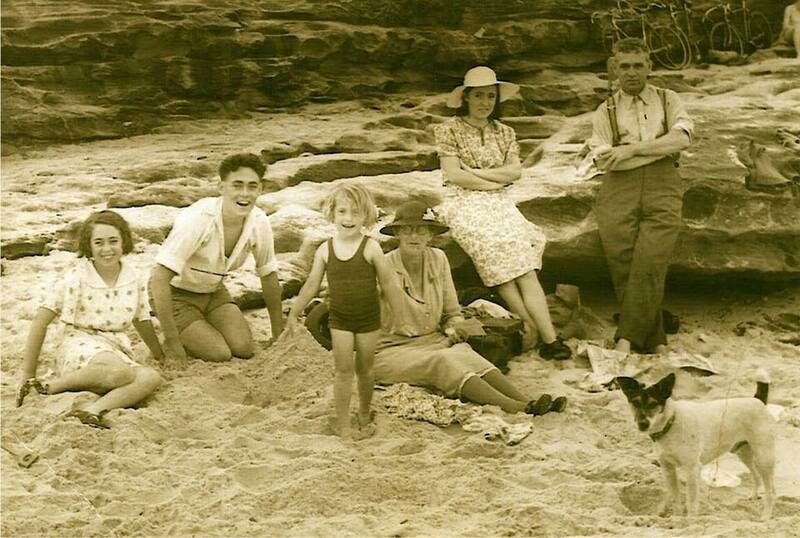 Son of Lucy Jane Sanders, of Lu-Bert, Myra Rd., Dulwich Hill, New South Wales, and the late Frederick John Sanders. 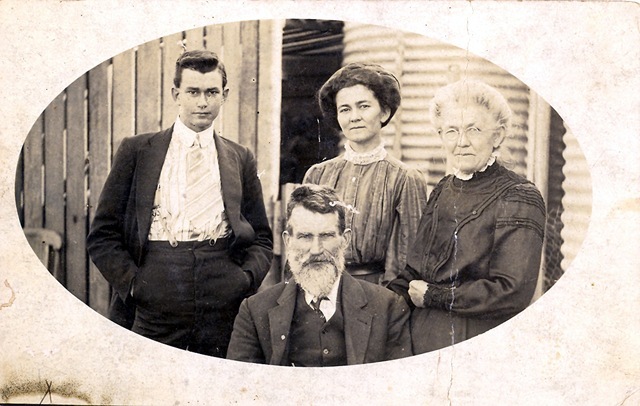 Born at Kinchela, New South Wales. THE STORY OF BERT’S LAST ACTION IN FRANCE. THERE IS A GOOD DEAL MORE CORRESPONDENCE in the PDF below. I had always thought he had died from illness but it seems not. One report says he was app 29 years old but he is on his mother’s form as being 19. 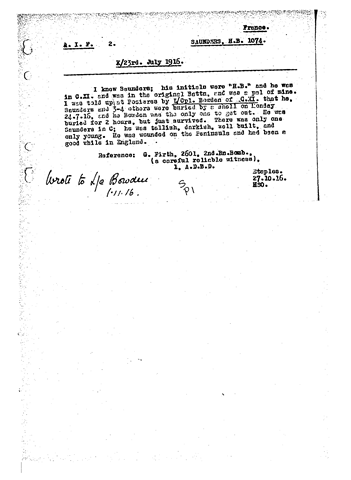 Personal papers of Warrant Officer Class 2 Bruce Sanders, including: school, employment and Army service records; personal diary covering war service and post-war life; membership records of 2/3 Pioneer Battalion Association, kept during term of office as Assistant Secretary.